One type of swords are samurai swords. In the strictest sense the term katana in Japanese is applied to any kind of single-edged sword, of any origin, and does not necessarily refer to a Japanese sword. "Katana" was originally used as a general term for a single-edged sword having a "Sori" or curvature of the blade. While the "Sugata" or form can take many shapes, including double edged that are 2 shaku (606 mm / 24 in) and longer. The katana evolved as a more sleek and compact alternative to the Tachi. 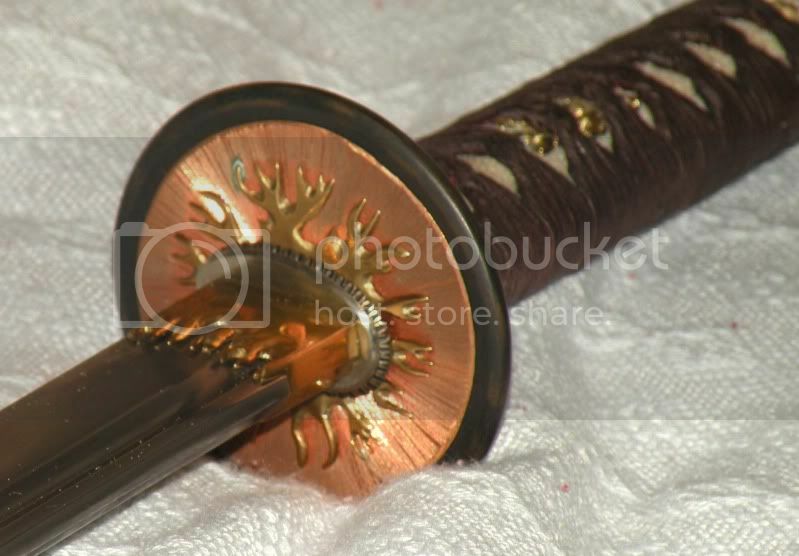 The popularity of this type of samurai swords growth in popularity is believed to have been due to the changing nature of close-combat warfare. The quicker draw of the sword was well suited to combat where victory depended heavily on fast response times. The katana further facilitated this by being worn thrust through a belt-like sash (obi) with the bladed edge facing upwards. Ideally, samurai could draw the sword and strike down the enemy in a single motion. Previously, the curved Tachi had been worn with the edge of the blade facing down and suspended from a belt.